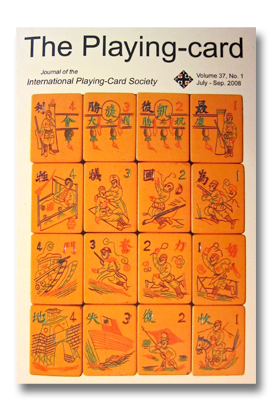 Here we start with the history of the Mahjong(g)/Ma Que tile set, presented in six articles that originally appeared in The Playing-card, the journal of the International Playing Card Society. Each article deals with a particular point or period in time, shown in blue in the synopses below. Since this research is based on documentary evidence and inferences derived from it, I have given a comprehensive bibliography at the end of each article for the interested student of the game. Chinese characters (sinograms) appear in the texts where relevant. 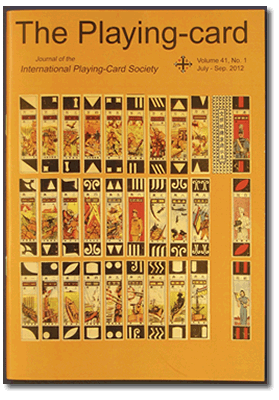 The final article deals with the development of the tile set suits from preceding money-suited playing cards. 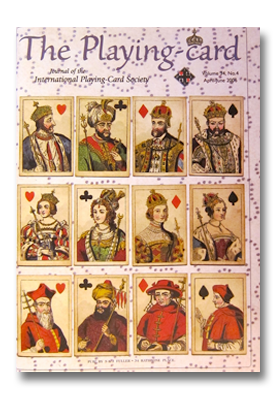 ‘Pre 1920 Names’ traces the names that were used for the game and the names of the playing cards from which it was most probably derived. Thus, I introduce a very important 18th century Chinese book on games, and its relevant text, that lends support to the hypothesis that the game was a development from a pre-existing 18th century card game, whose name was attached to the tile set game of the 19th century. ‘China to the West’ deals with The MAH-JONGG Company of China, how it was formed and by whom and how and when the individuals involved with this company introduced a variation of the Chinese game to the West. Fully illustrated and referenced and with additional patent information. Introduces an early name and associated rules of the game as described by Sir Henry Wilkinson in 1890. The three earliest tile sets are documented, all collected in China – two by George Glover between 1872 and 1873 and one, by Carl Himly, between 1868 and 1876. Excerpts from a hand written letter by Glover are included, describing and naming one of his tile sets. Both the Glover tile sets are pictured, together with views of individual tiles. From his very detailed description we know what Himly’s set looked like, but its whereabouts is unknown. Documents and discusses three tile sets collected in China by Sir Henry Wilkinson – two in 1889 and one in 1892. 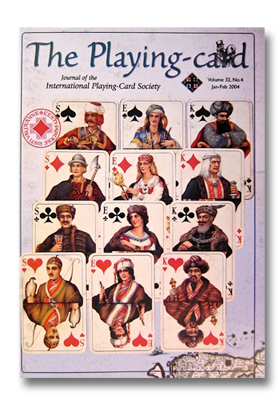 One set is shown together with a discussion of its box inscriptions. Also introduced and illustrated, is a newly discovered tile set collected in China in 1901 by Berthold Laufer. Finally, a tile set collected in China in 1909 by Stewart Culin is pictured and discussed. Documents and provides a description of a tile set (circa 1915) given to Captain George E. Mauger in Paris by a Chinese friend who probably came from Wuhan in Central China. The article also introduces a similar description of a partial set given by the Chinese scholar Xu Ke in 1917. Some conclusions can be drawn from these descriptions that allow for likely reconstructions of the Mauger tile set to be illustrated here. A third tile set acquired between 1884 and 1892 by the Chinese Official Sheng Xuanhuai, is introduced and compared with parts of the Mauger, Himly and Glover sets. This article introduces a newly discovered 1934 account of two Mahjong(g)/Ma Que games that use special Flowers tiles. The functions of these special Flowers tiles are put forward to explain the uses of their counterparts that are found in the early Himly, Glover and Sheng sets, mentioned previously, as well as in a similar tile set illustrated in a 1924 manual by Japanese Journalist Tokusaburo Nakamura. 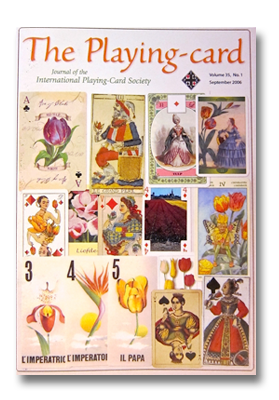 In this article, a Chinese colleague and I have examined the hypothesis (or explanation) of the origins of the three suits; – that they were derived from those of early Chinese money-suited playing cards. This examination relies heavily on the work of mid nineteenth century Western sinologists/collectors based in China, particularly the work of Karl Himly and William H. Wilkinson and to some extent, Stewart Culin. Evidence in support of this hypothesis resulted from this examination. We hope this examination and support will give you an appreciation of how the ma qiao/Mahjong(g)’s tile suits’ origins are rooted in very early Chinese playing cards. 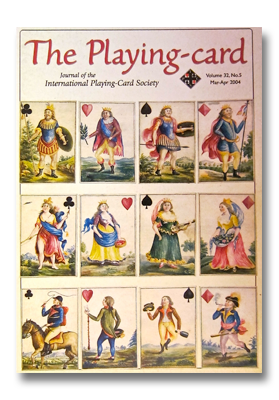 To give a visual idea of these cards, this article is illustrated with money-suited playing cards determined to be from the late nineteenth or very early twentieth century, as well as from the early and late twentieth century.